A hub of workshops, inspiration, and positive vibes. We are all about taking at least one step, however small, every day in the direction of your creative goals. Welcome to our Designer Spotlight section. We have some wonderful interviews to share with you, featuring some fab artists and designers who give us an insight into their design practices and routines. 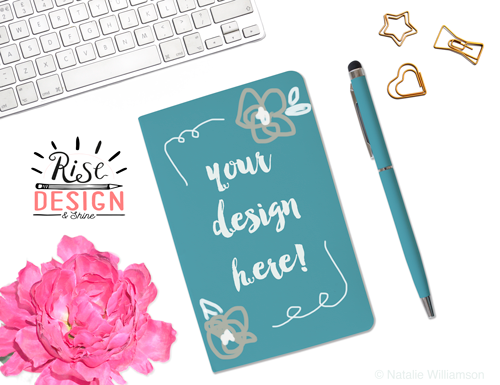 If you would like to be our featured designer, please submit images to shine@risedesignandshine.com along with a brief introduction. Please add "Designer Spotlight" to your subject line. Join us on Instagram for your regular intake of eye candy! I love love love Folio Focus. Natalie and her sweet team have created an incredibly valuable workshop. FF has been an amazing spring board for helping me think outside of my fave topics. Past FF work has even been licensed. And the Facebook group is a huge, awesome bonus! I have just launched this new collection which I was only brave enough to complete after taking your FolioFocus course! I thoroughly enjoyed the creative briefs set out in FolioFocus, as they were real briefs, relevant to many different market areas. This course really allowed me to build my portfolio and at the same time allowed me to connect with many talented designers and illustrators. I would definitely sign up again!